Wealthsimple, a Toronto-based online wealth management startup, has raised $51 million in funding from Power Financial Corp (PWF.TO), as it seeks to compete in the increasingly crowded digital investment advice market. 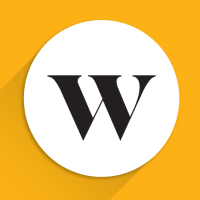 Wealthsimple, which is among the group of digital investment managers known as robo-advisers, will use the round of funding to add features to its service and expand to offer other financial products, it said.The company last year became the first foreign robo-adviser startup to enter the U.S. market and later in 2017 opened in the UK. It currently manages $1.45 billion for more than 65,000 clients in the three markets it operates in. Wealthsimple and other robo-advisers are seeking to upend the traditional financial advice market by using automation to capture clients who were previously seen as too expensive to service. They target a younger generation of investors who are more comfortable with digital services. Robo-advisers generally use computer algorithms to create and manage portfolios of low-cost exchange traded funds for clients with as little as hundreds of dollars to invest.